I finally made donuts! I was searching for the right recipe that wasnt complicated and included bananas (i have a zillion in the freezer begging to be used for baking) and this one sure delivered! I used this recipe from Janie’s Kitchen. I cut the recipe in half and it made 8 donuts. 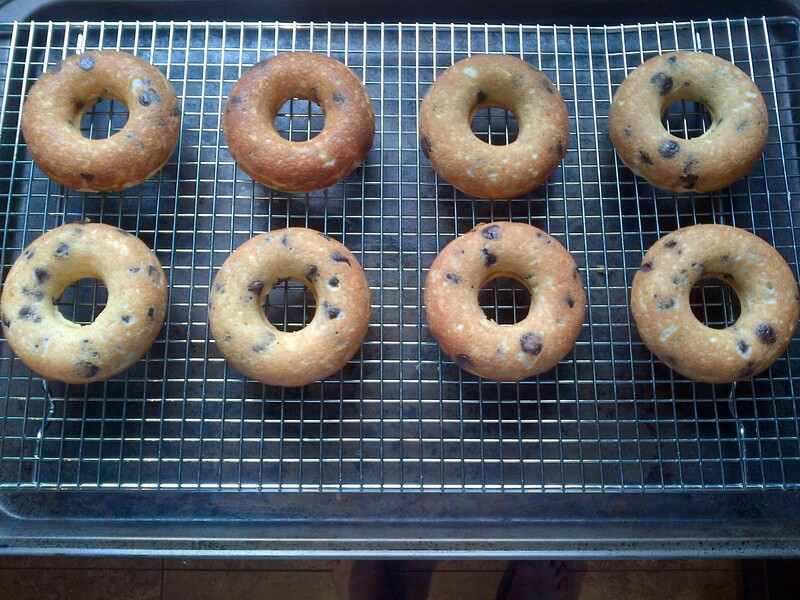 I substituted rice flour for the spelt flour, used 9% greek yogurt instead of 0% and used semi sweet chocolate chips. They took about 12 minutes to bake and I turned them once during cooking. They got so nice and crispy on the outside and soft on the inside. They are a dense donut (similar to the texture of an old fashioned type of donut) I had one hot from the oven and it was amazing! Burned my mouth on a chocolate chip- but it was sooooo worth it. I am now HOOKED on donut making because well, its cool! I love that donut pan. In my continuing efforts to eat more vegetables,I needed something extra that would help me on my journey.Peanut sauce was the answer.I buy frozen mixed vegetables (Asian Mix) or fresh prepared stir fry mix or if I am feeling very energetic I chop a variety of veg like broccoli,carrots,snow peas etc.Please feel free to use your favourite combos. 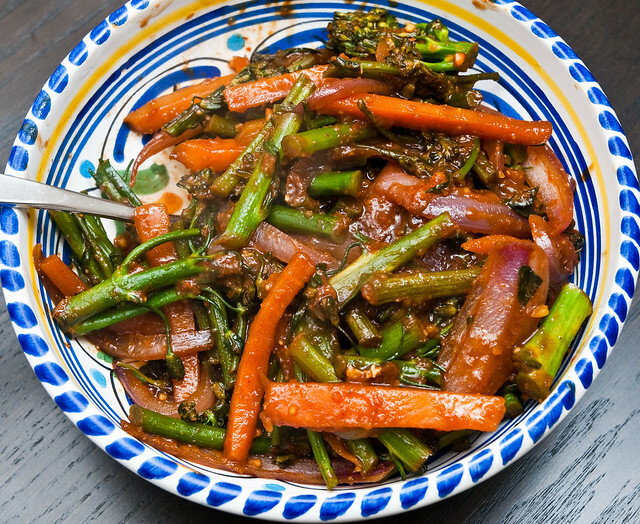 Once the vegetables are stir fried add the peanut sauce and cook for a minute more coating everything well. You can also use this sauce for chicken,hot or cold rice noodles and as a marinade for any meat.The possibilities are endless. PS. I made this peanut sauce last week with Asian stir fry vegetables and centre cut pork chops which I marinated in the peanut sauce overnight then baked them.My husband said this was a restaurant quality meal.I think that is good right? Microwave ingredients for about 30-40 seconds. I’ve never had one before but I see my foodie friends rave about them on Twitter. They are supposedly crunchy on the outside, and chewy on the inside. Two wonderful shells filled with buttercream delight. Well, this recipe is one I came across in Pinterest, and it used ingredients I already had in the house. So one night, when hubby was at work I decided to try em. To be honest, they were one of the easiest cookies I’ve ever made. And to me, they were perfect. Crunchy on the outside, and chewy on the inside. Two wonderful shells filled with vanilla buttercream delight. My size was off (too big) and the shape wasn’t perfect (each shell has a point on it) but the most important part (so I read) was that the shells had feet (the ridge around the bottom)- which they did. 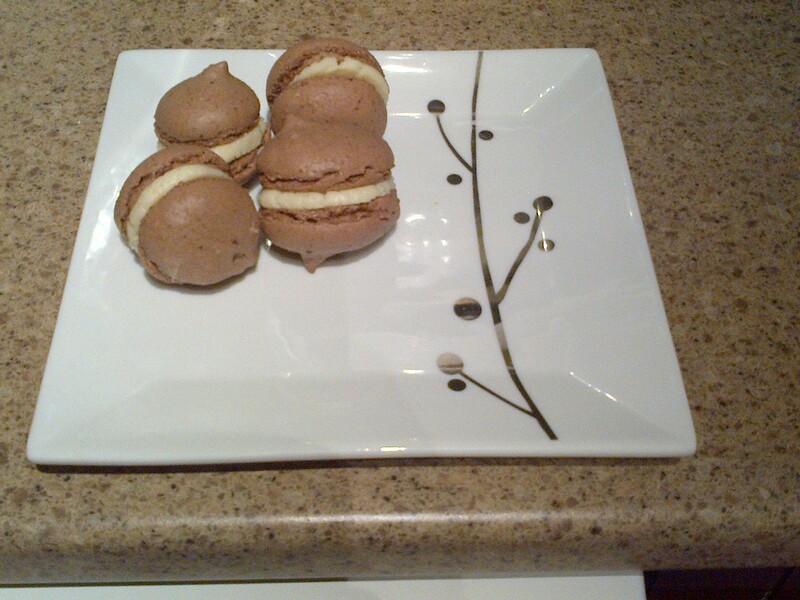 I think EVERYONE should try making macarons! I’m now addicted and will be making them often, different flavours, different fillings. I CANT WAIT FOR MORE! I made this up myself. I dislike most of the buttercream recipes out there so I just mixed up butter and sugar and vanilla until it tasted good to me. Not too sweet, more on the buttery side. MMM….. I love pretty much anything stuffed inside of something else. Stuffed tomatoes, zucchini, peppers, potatoes… you name it, i love it! Stuffed mushrooms are probably one of my favourite things stuffed. They make a fantastic appetizer since they are easy to prepare in a big volume and super easy to just pop in your mouth. (this translates to “make alot because people will eat lots of them”) I recommend 5-6 per person as an app. The recipe is super simple. So simple, It’s barely a recipe. Mix crab and cream cheese and stuff into mushrooms. Here you can also add any herbs or spices, but I like mine basic and simple. 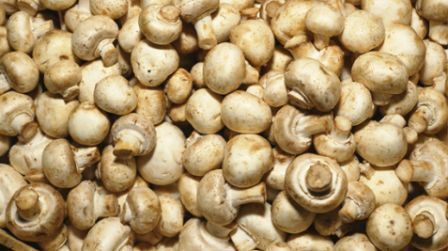 Bake at 350 for about 20 minutes or until mushrooms are soft and cream cheese filling has very lightly browned. Serve, and try not to eat all of them! I don’t know about you but I need to eat more greens.I tried this new product from Presidents Choice.It is a Kale,Chard Spinach mix.It is chopped and washed which makes it very convenient.I have eaten it raw added to a salad,added handfuls of it to a cream of broccoli soup and my daughter has added it to her morning protein shakes.You could also cook it with a bit of olive oil,garlic and lemon or add some to an omelet.This PC product is a great way to add healthy greens to your diet.Your body will thank you for it. This is anothe r short cut kinda recipe. 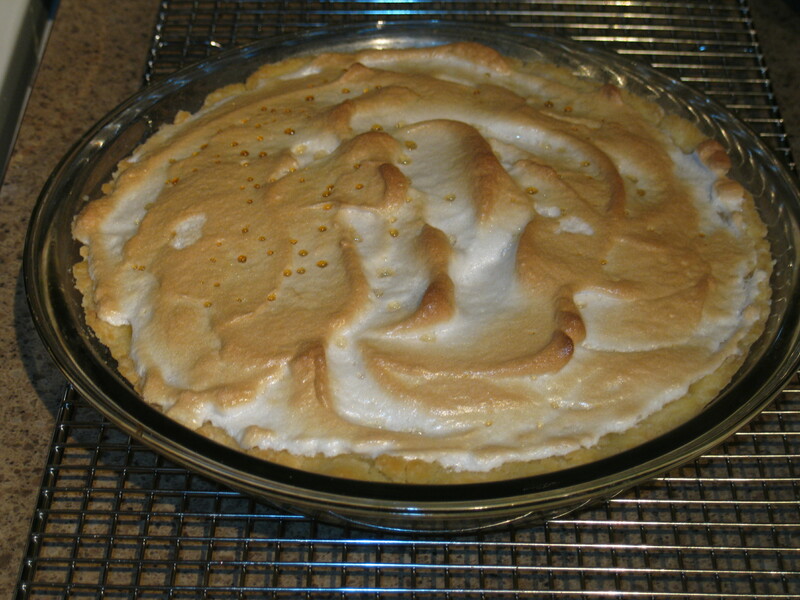 I made my own gluten free crust and then I just bought the Dr. Oetker’s Lemon Meringue pie filling. 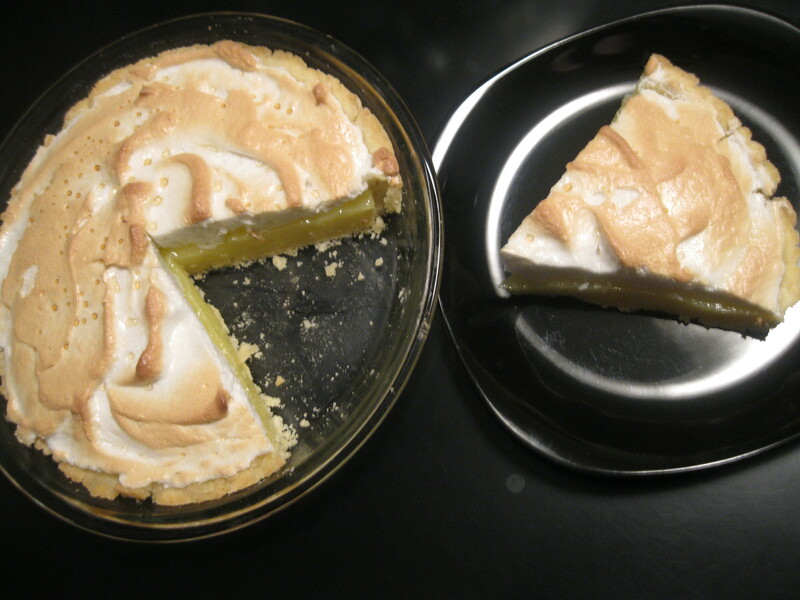 I know making lemon curd is pretty easy, but I just wanted a lemon meringue pie and quick. 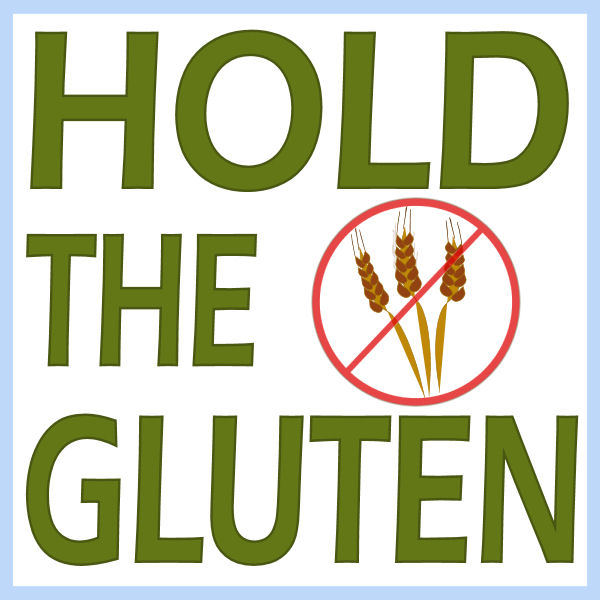 I would have bought one if they made them with gfree crusts. But alas, they do not. Please note you can’t roll this out, you just press it in. Its super easy!